The Kramer Law Firm believes it is important to all family members to work quickly and with a problem-solving attitude in order to resolve family law issues most effectively and affordably. For many divorcing couples, mediation is an excellent tool. The advantages of mediation over the traditional adversarial approach to divorce are significant. Your conversations are private, the atmosphere is informal and patient, and the process is empowering and productive. The Orlando divorce mediation attorneys of the Kramer Law Firm have been involved in thousands of cases that have involved mediation. Our experience can help guide you through the mediation process, keep you informed of your rights, and review all agreements to be sure they protect your interests. We are able to assist you in the mediation of all areas of divorce including parenting plan (custody) disputes, alimony, complex property division issues, and child support matters. If you would like to know more, please contact our family law firm to discuss how Orlando divorce mediation can work for you. Mediation is a method of alternative dispute resolution. It allows both parties to work out their own negotiated settlement with a qualified, impartial mediator. It is designed to help parties get to a resolution without the use of a court. It is less hostile, less costly, and less time-consuming than a court battle. Mediation is confidential. Typically, anything that is said in mediation is not allowed to be used in court. During the Orlando divorce mediation process, a neutral third party mediator acts as an intermediary for negotiations. The mediator will usually be a former litigator, lawyer or judge, although some mediators come from other backgrounds. It is important to know, mediators do not have the power to create binding judgments. Instead, mediators assist in the negotiation process in an attempt to get the parties to form an agreement on their own. Any agreements, which come out of mediation, may become legally binding. Therefore, it is important to have an experienced family law lawyer with you at mediation to negotiate on your behalf and to ensure that any mediated agreement protects the rights of you and your children. How Will Mediation Influence Your Case? Mediation can result in solutions that would not be possible in a court settlement, because the parties control the resolution rather than the judge. Mediation is commonly used in family law cases to help end deadlock in negotiations and achieve either a partial or total settlement. 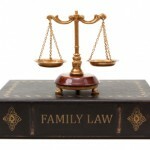 In fact, the court will order mediation in most family law cases. If ordered by a court, the parties must attend mediation. However, once there, they are not under any obligation to come to an agreement, or even make substantial progress. In our roles as Orlando divorce mediation attorneys, we have seen even the most skeptical and resistant parties to the divorce mediation process come to realize its benefits once involved. As most family law cases enter mediation at some point, many of those cases are aided and even settled as a result. 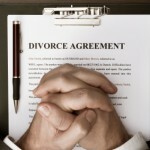 What Are The Benefits Of Orlando Divorce Mediation? The presence of a neutral party often can ease tensions between divorcing spouses in conflict. Many times by explaining their situation, opinions, and feelings to the mediator, one spouse may inadvertently help the other spouse to understand. Mediators are generally very skilled in dispute resolution and can offer their experience and advice. Mediation is more flexible in its solutions. Agreements in mediation often contain more creative and personal solutions than a court would allow. You and your spouse control the resolution, not the judge. This is ideal as no one better understands your issues and needs more than the both of you. Solutions reached through mediation are more likely to be honored and upheld, as you and your spouse have reached an agreement. Mediation can lead to a more rapid and less expensive resolution than is possible through the use of the court. The process can be used to resolve other family law problems after divorce, such as modifications in child support and custody. To see how our knowledge and familiarity with the process can serve you, contact our Orlando divorce mediation attorneys to discuss the process, or call us at 877-493-4847. We will work with you to shape and reach the most beneficial agreements possible for you and your family, accomplish agreements quickly, and avoid the costs of litigation.